I'm actually a day late with this post. Whoops! I'm going to slightly weave in some life updates as well but I swear it's related to why I've been doing this face lately! I didn't say it outright, but my good work news from 1-2 months ago was that I got a promotion. Whoohoo! After that, work started to pick up and there were some changes that added a lot of work load on my already busy schedule. I wake up early enough to get to work by 7-7:20 AM and I also usually leave by 6:30 PM. While I do still like to experiment with my face looks, I've been relying on face and eye favorites and just playing up with my lips. There's also someone new in my department and I'm trying to assert my dominance with my strong lip color. 😁 Just kidding. I'm like the second youngest at my company and pretty much a baby. I don't scare or intimidate anyone with my lack of adult skills. If I'm in an absolute rush, I actually use the Glossier Stretch Concealer in Medium all over my face. I know that's a huge no-no to use that much concealer because that's what foundation is for, but the finish has the perfect amount of glow and covers my redness so well. I would put on a very thin layer with a buffing brush and then layer on a bit more under my eyes and on my acne marks / blemishes. When I have more time, I use the Glossier Stretch Concealer just under my eyes and the Urban Decay Naked Skin Concealer in Medium-Light Neutral on my acne marks / blemishes since it has way more coverage. 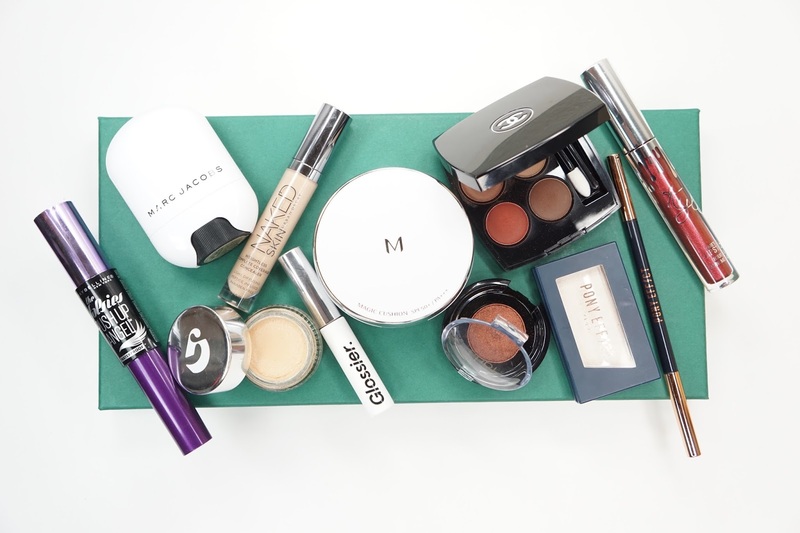 Lastly, I would put on a light layer of the Missha M Magic Cushion Foundation in #27. I like using the cushion foundation last on top of the concealer so that all of the colors blend in and it helps blur out any lines or color differences from the concealer. The Missha foundation is pretty close to my skin tone, but the two concealers are a tiny bit lighter. For highlighter, my go to picks have been the Marc Jacobs Glow Stick in Spotlight and the Pony Effect Mirage Highlighter in Lucid Dream (review here). Spotlight looks more like a light gold on my skin and Lucid Dream is an off white cream shade. I actually wore this combo at Disneyland and this lady yelled from across the line to say that my highlight was on fleek. Of course it would be my favorite combo after that. As mentioned in my review of the Chanel Les 4 Ombre in Candeur et Experience (here), I love the shades and it's very me. I sometimes put a normal primer or colored cream base underneath, but the eyeshadow choice has been the same for awhile. 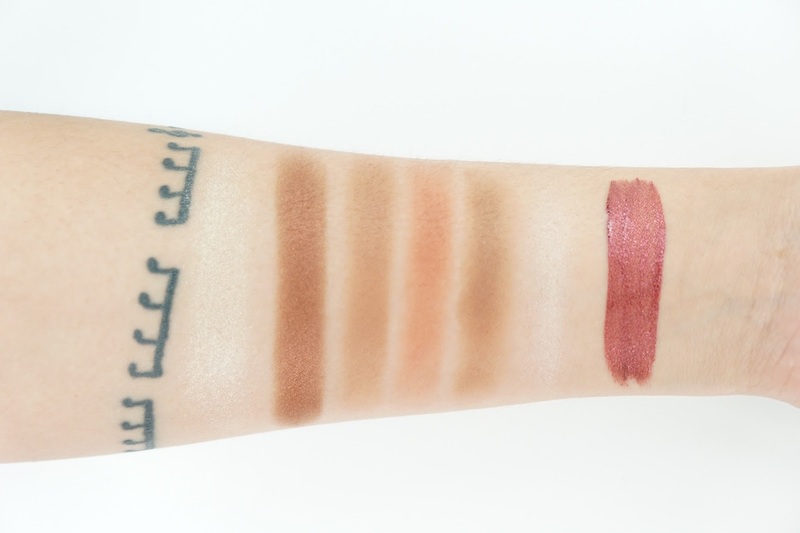 I sometimes use it just by itself with the 3 darker shades, but if I want something smokier, I also smudge some of the Tarte Tarteist Metallic Eyeshadow in Speakeasy close to my upper and lower lash lines. It's a metallic dark red based brown shade and the formula is so smooth and pigmented. Mascara always changes, but I've been really enjoying the Maybelline The Falsies Push-Up Angel Waterproof Mascara in Very Black. The thin comb brush reminds me of my discontinued favorite, L'oreal Telescopic Waterproof Mascara, but with a bit more volume. On the other hand, I've been really loyal to my brow picks. I like to start off using the Glossier Boy Brow in Brown through my brows and then I go in with the Pony Effect Sharping Brow Definer in Deep Brown for sparser areas and to fix my brow shape a bit. My brows are definitely sisters and it's something I'm trying to change, but I'm okay with looking slightly confused with one raised brow for now. This was a hard choice for this post, but I ended up choosing the Kylie Cosmetics Metal Matte Lipstick in Dancer from the holiday collection. It's a gorgeous metallic red that makes my face look a bit more interesting. 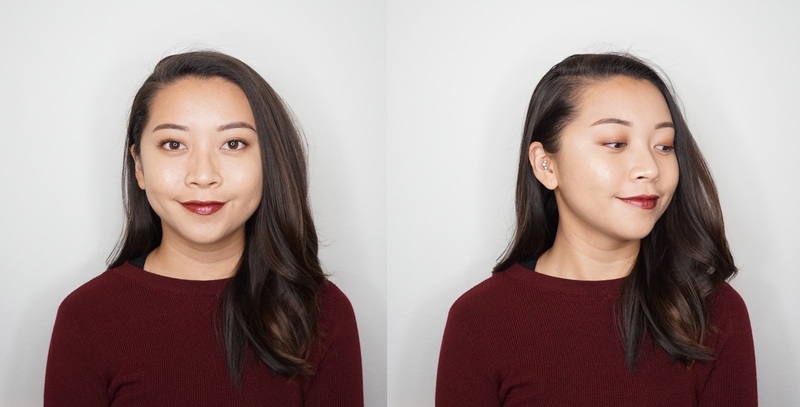 I've also been wearing other red lipsticks like I mentioned in my red lips post here too. & there it is! My current face picks. What have you been wearing lately for your go-to looks? Have you started wearing the vampy dark lines for winter yet?